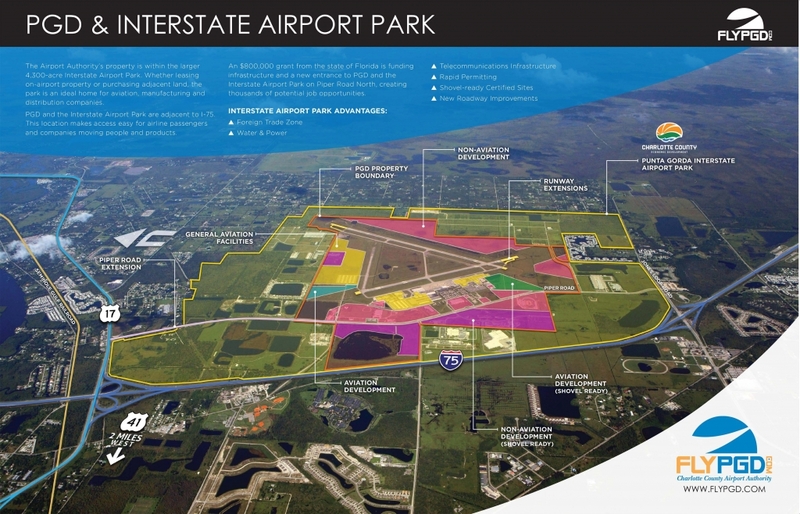 The Punta Gorda Airport and Commerce Park lies within the Interstate Airport Park. In the aerial below the area bordered in orange is the property owned by the Charlotte County Airport Authority. The area bordered in yellow is the Interstate Airport Park boundary. Click the image to view a detailed pdf.